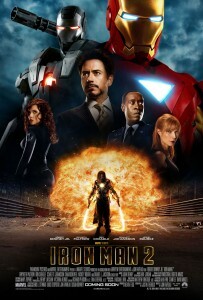 HomeIs Iron Man 2 The Key To The Marvel Cinematic Universe? 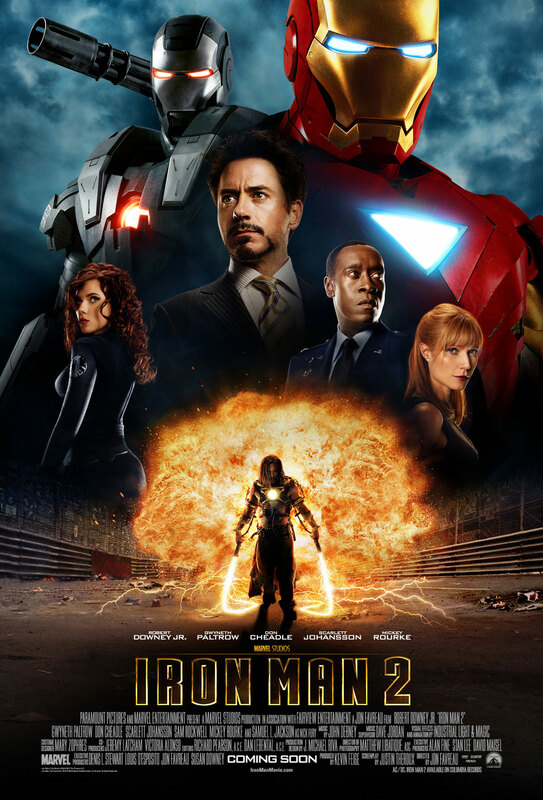 Is Iron Man 2 The Key To The Marvel Cinematic Universe? Put on your tinfoil hats, boys and girls, this is a fun fan theory that’s pretty exciting, and unlike most of them I come across, I can totally believe this! The gist of it is that an important easter egg from Iron Man 2 points to a larger plot point in the Marvel Cinematic Universe. There’s another theory that could take it even further, so keep reading! Possible spoilers to follow! You have been warned! Movie Pilot posted a speculative piece on an easter egg we all noticed but failed to grasp the possible importance of. In Captain America: The First Avenger, Tony Stark’s father Howard Stark gets his hands on the Tesseract when he goes looking for Steve Rogers. This is how S.H.I.E.L.D. ends up with it in The Avengers… but more on that later. In Iron Man 2, Tony Stark creates a new element from his father’s notes, which he uses instead of the original miniaturized arc reactor that’s slowly poisoning him to death. In his father’s notes, that he uses to create this new element, there’s a drawing of a Tesseract. 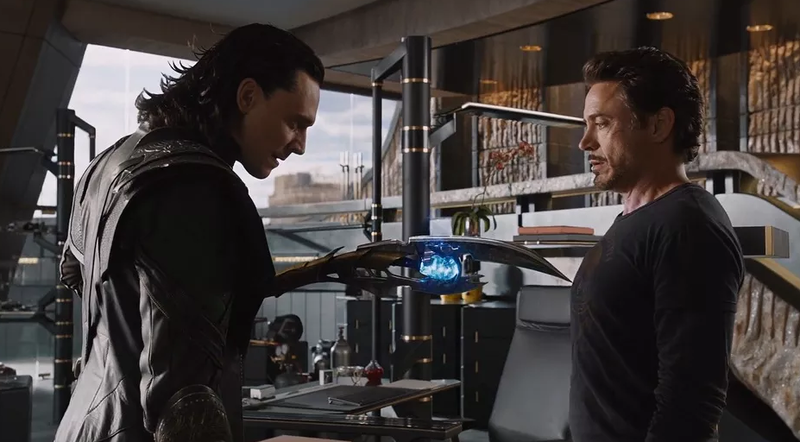 That brings us back to The Avengers; it’s long been speculated that the Mind infinity stone is the jewel in Loki’s sceptre (see right). It makes sense, as the Tesseract can’t fight or protect itself from itself, or, more accurately, can’t fight or protect itself from another Infinity Stone, which allowed Black Widow to use the sceptre to close the portal over New York. 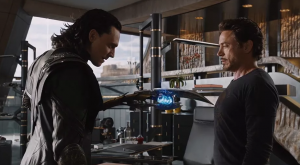 This all explains why the sceptre has no effect on Tony Stark when Loki tries to mind control him, because it’s powered by the Tesseract (or Space Infinity Stone). It’s not the first time the Tesseract was harnessed as a weapon since Zola did the same in Captain America: The First Avenger for HYDRA. 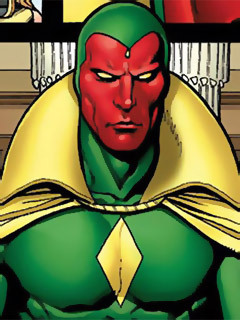 Now I’m going further into speculation territory: In the comics, The Vision uses a Solar Jewel on his forehead (see left), that absorbs ambient solar energy which, in turn, powers him. In the latest Avengers: Age of Ultron trailer, that jewel is seen on his forehead (see below), but there’s a current theory that the gem isn’t the Solar Jewel at all but rather, an Infinity stone. If that theory is correct, this Infinity stone is specifically the Soul Gem. The idea being that it gives Tony Stark’s AI assistant J.A.R.V.I.S. free will (both the voice of J.A.R.V.I.S. and The Vision are played by Paul Bettany). Currently there are two Infinity stones unaccounted for, but how many of them can possibly show up on Earth? We’ve had the Tesseract, the Aether (from Thor: The Dark World), and Loki’s sceptre, all show up on this tiny pale blue dot. Maybe Tony Stark’s new arc reactor from Iron Man 2 can fill that gap in. I don’t think the reactor itself is an Infinity stone, but rather sort of powered by the Tesseract. 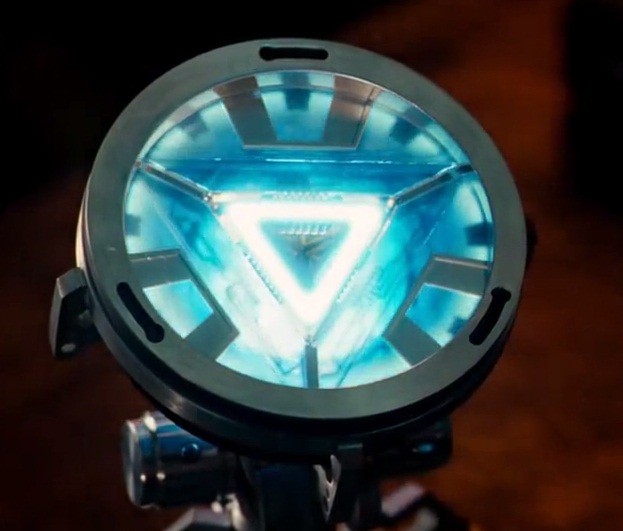 Remember, Tony did create the new element himself, but perhaps the tech is based on theories from Howard that he based on his studies of the Tesseract. However, it could help find the Soul Gem, leaving only one more stone to be found, the Time Gem. I guess we’ll find out soon. Avengers: Age of Ultron premieres in theaters May 1, 2015.